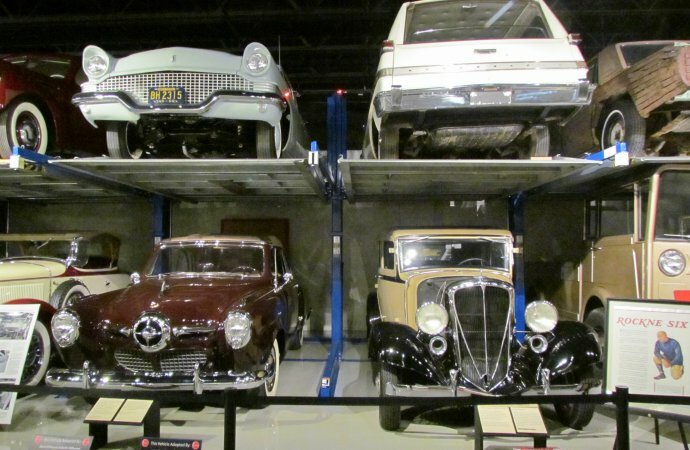 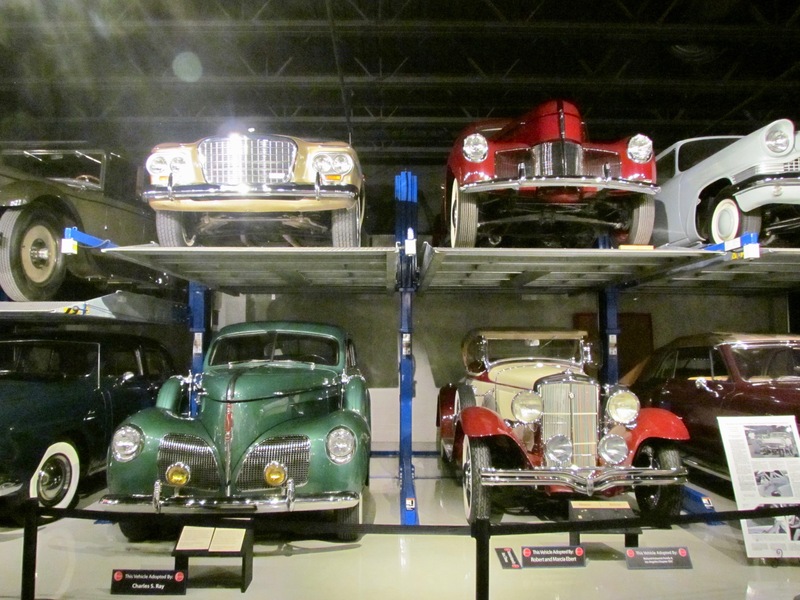 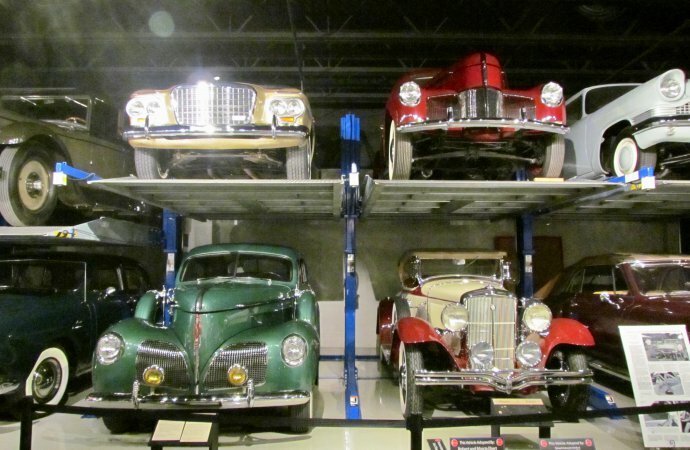 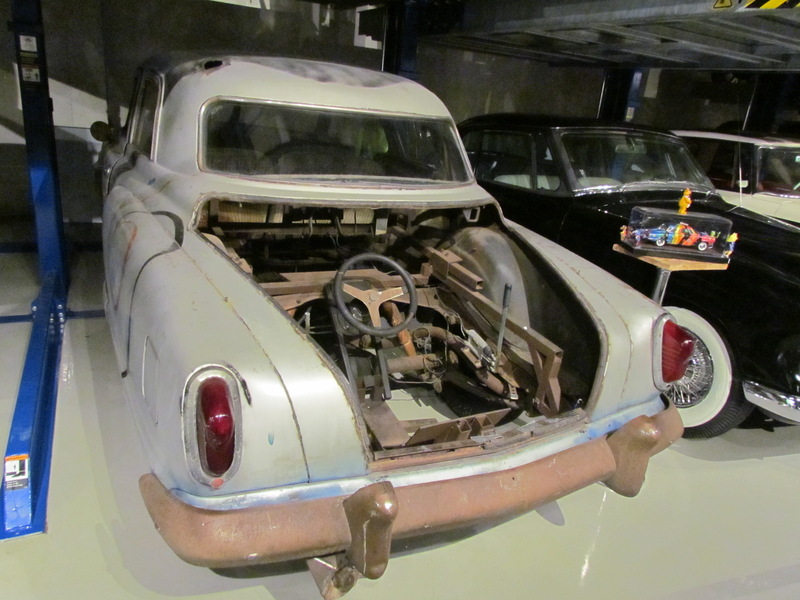 Some museums make a big deal about their underground “vaults” or closed-door garages, the places where they store vehicles not on the primary display floors. 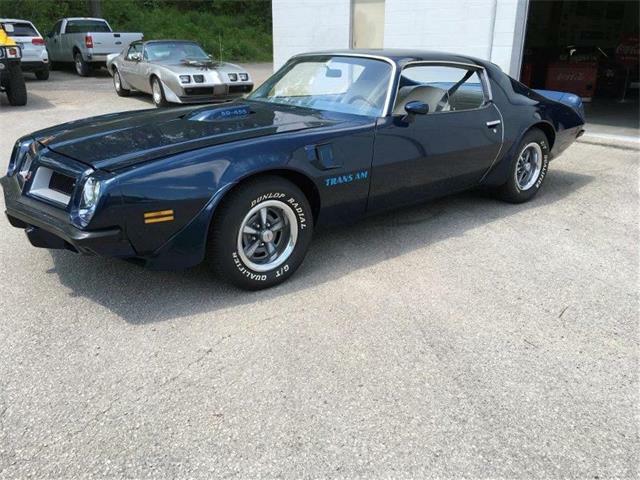 Want a peek? 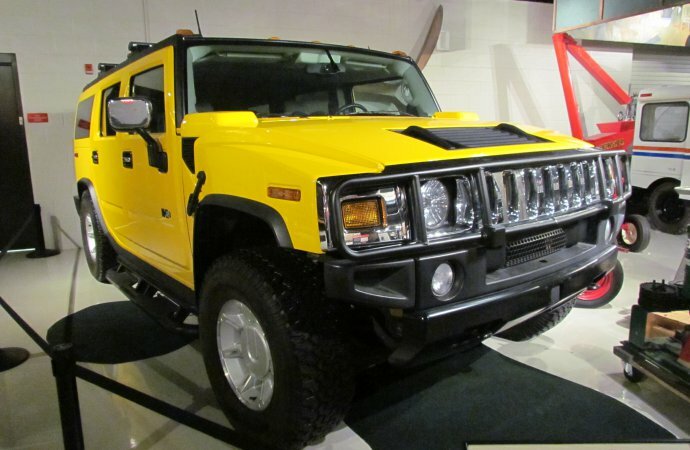 It will cost you extra. 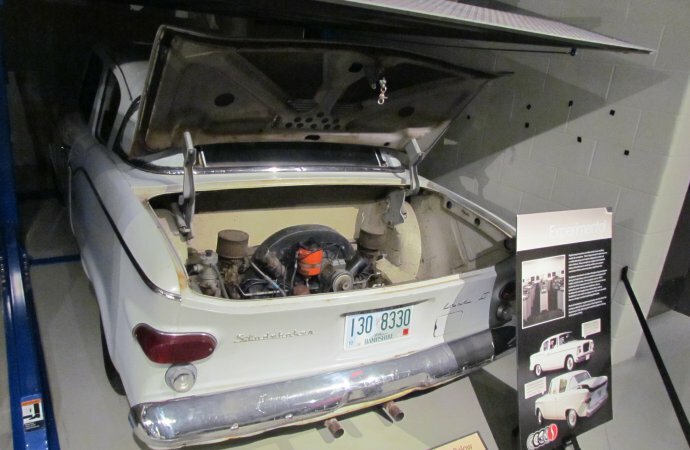 Not so at the Studebaker National Museum. 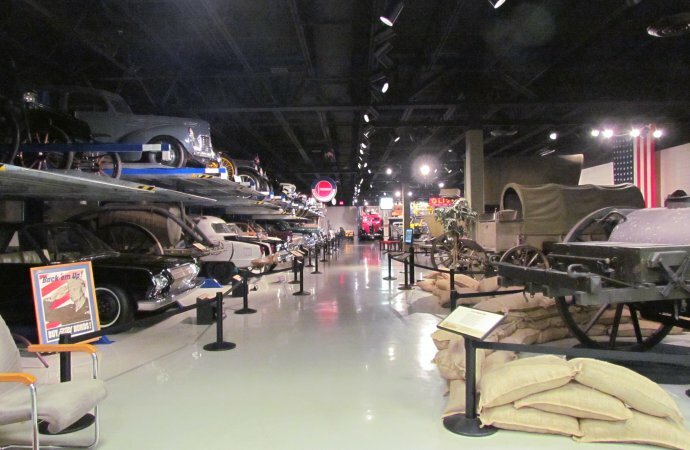 All you need to do is to be sure to include a trip to the basement when you visit the museum in South Bend, Indiana. 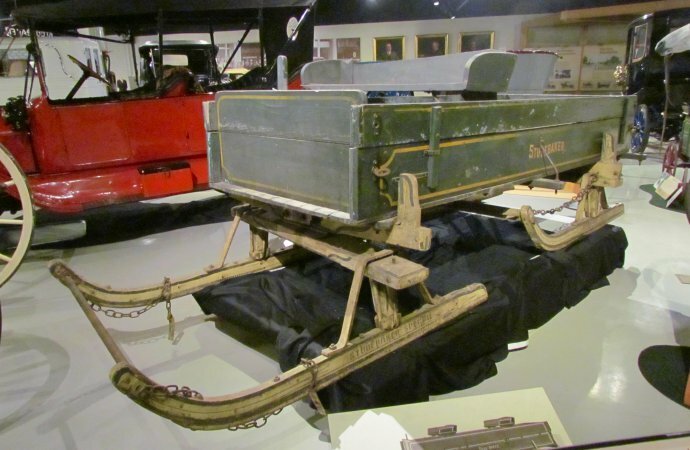 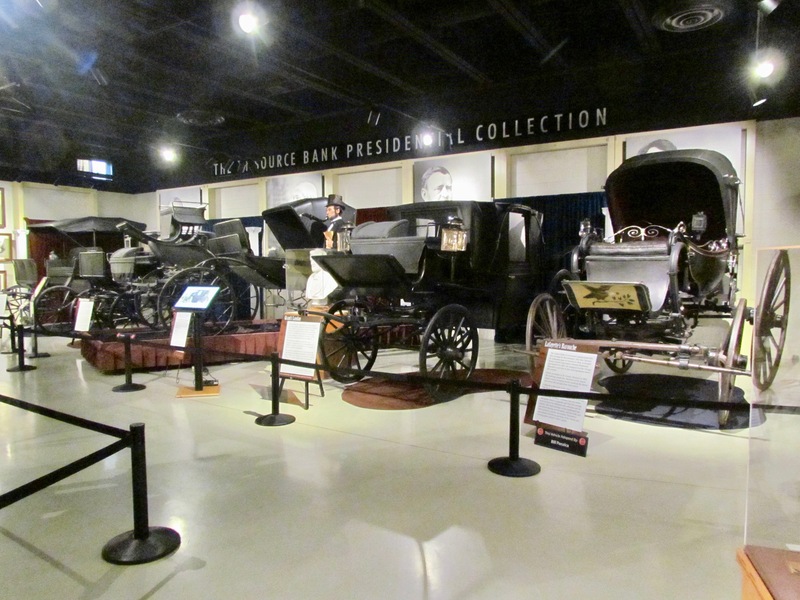 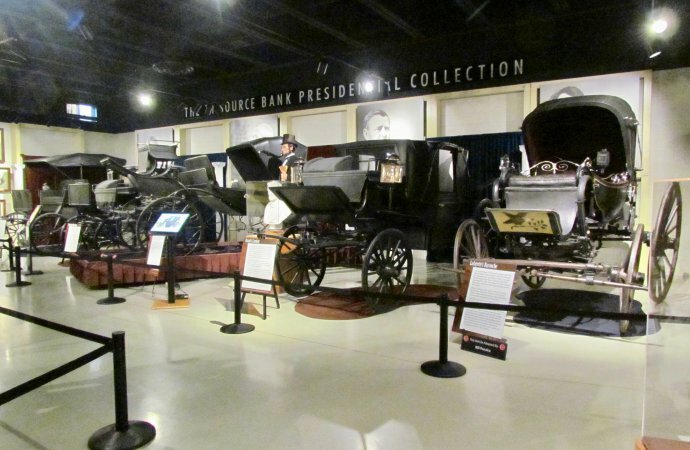 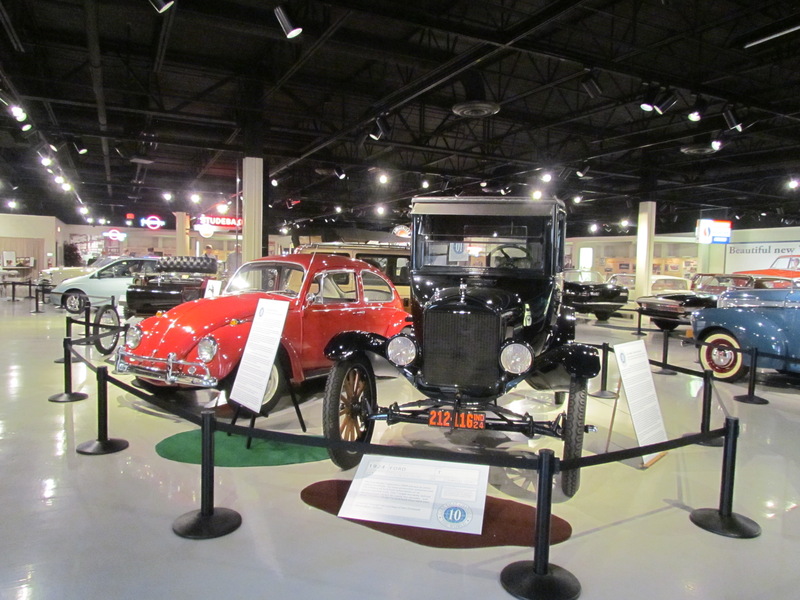 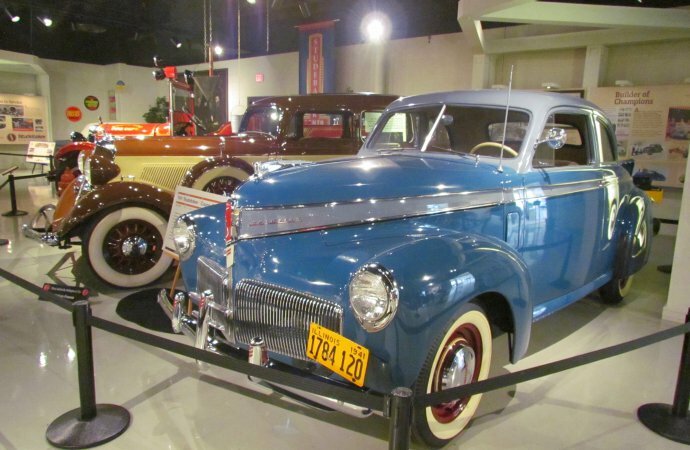 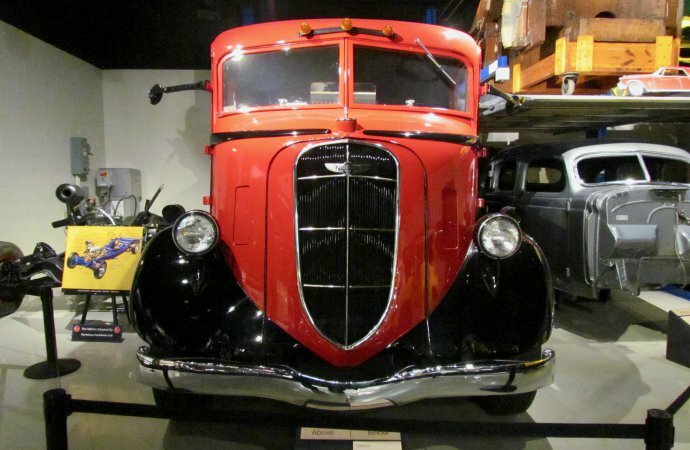 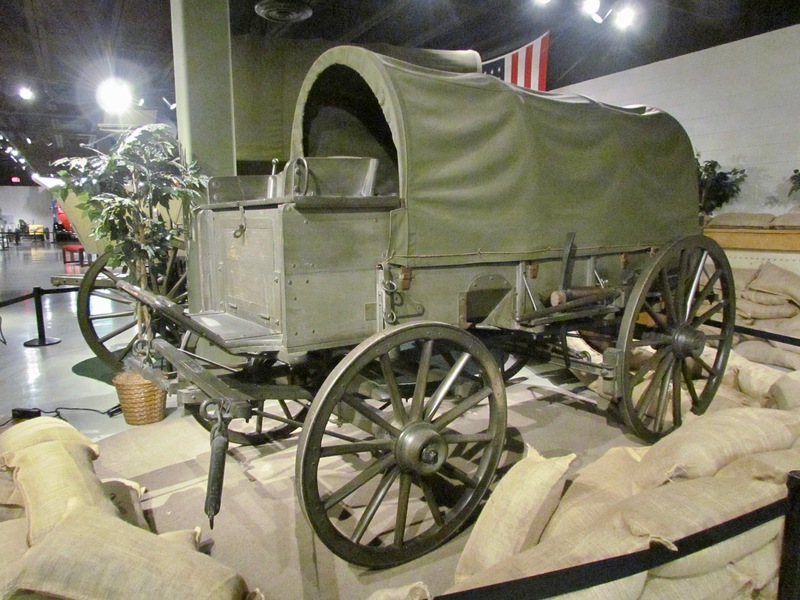 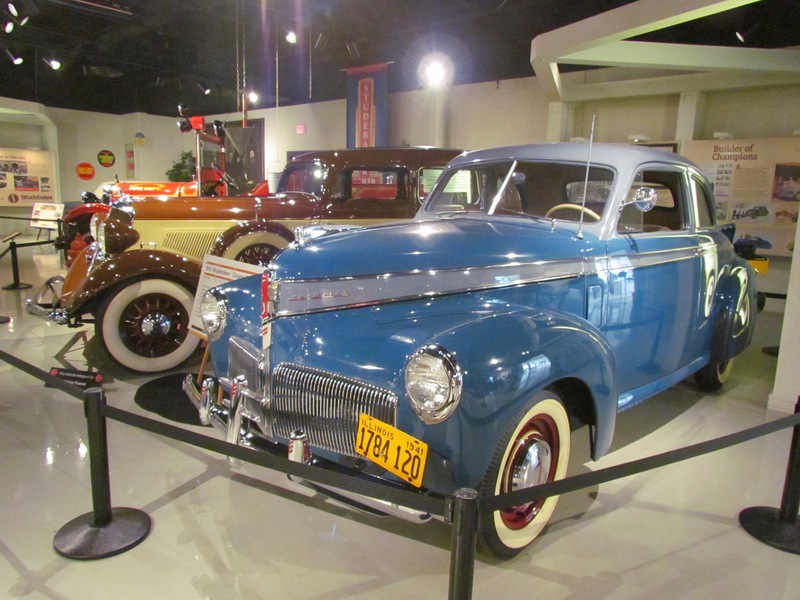 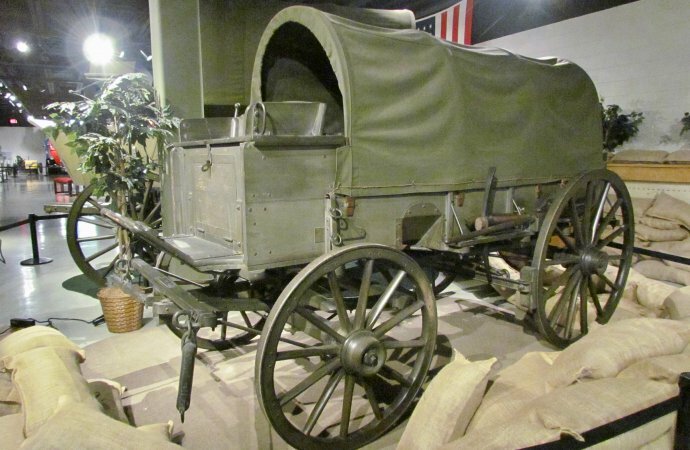 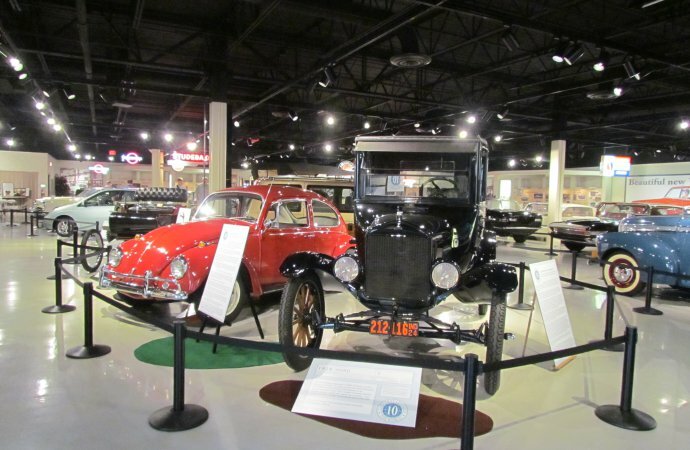 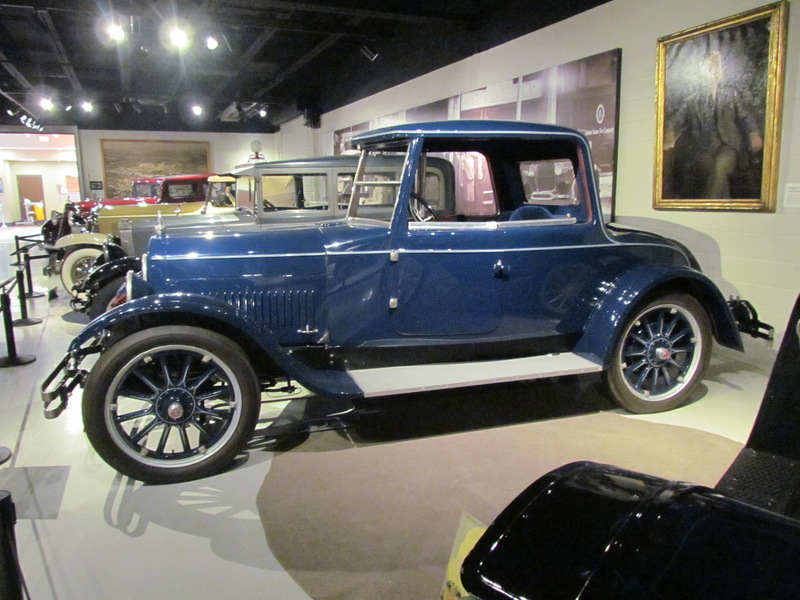 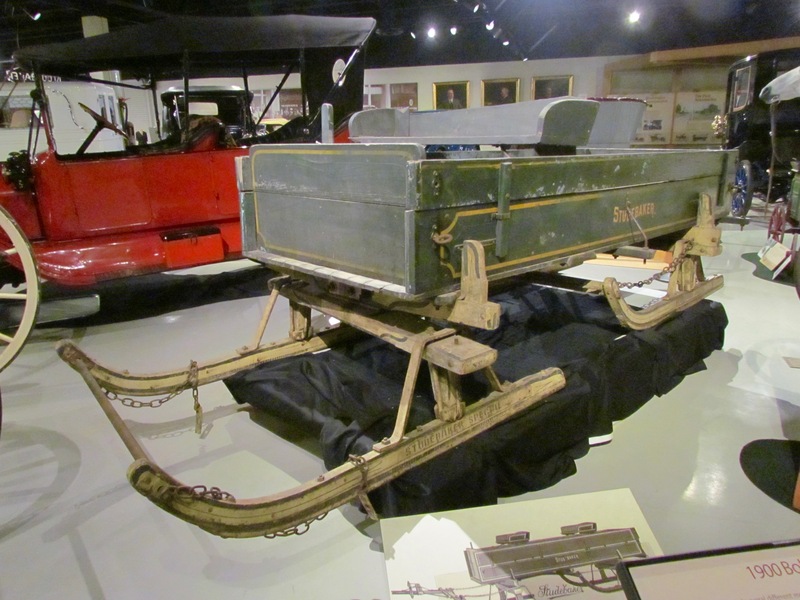 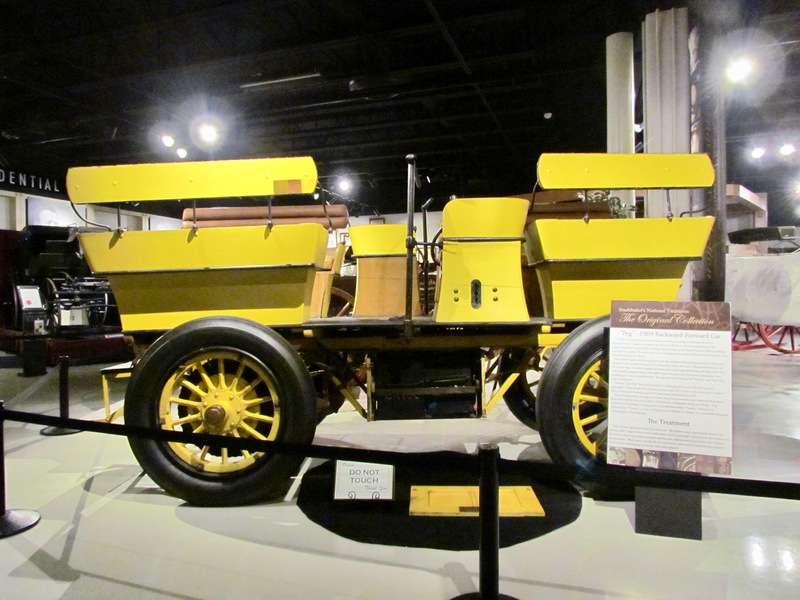 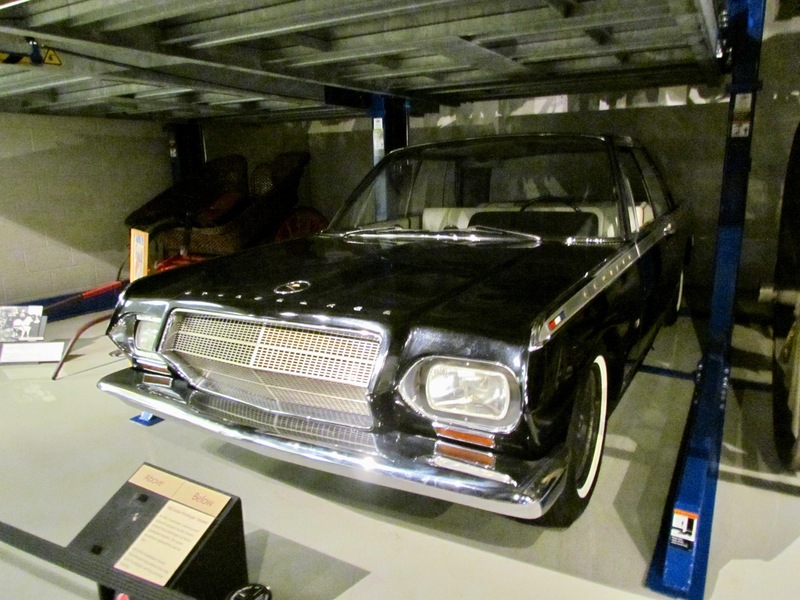 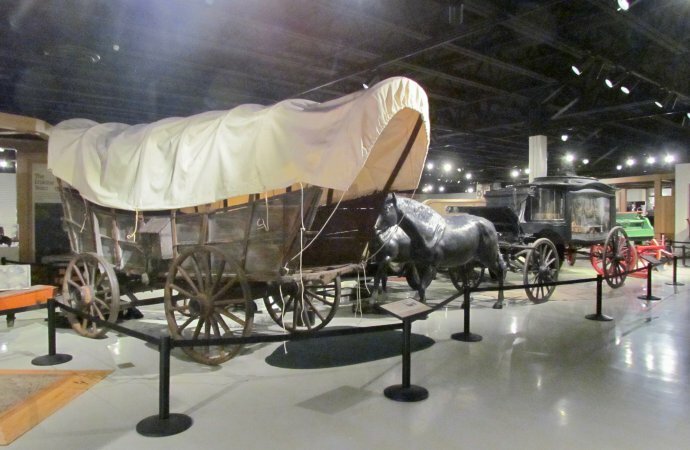 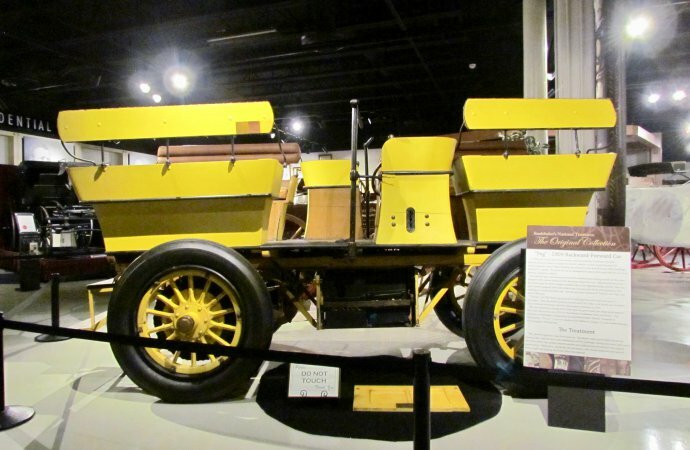 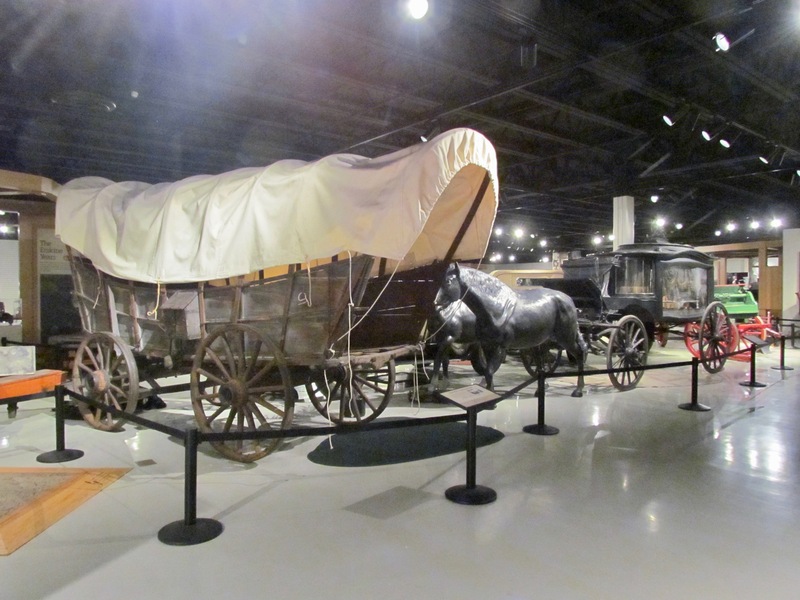 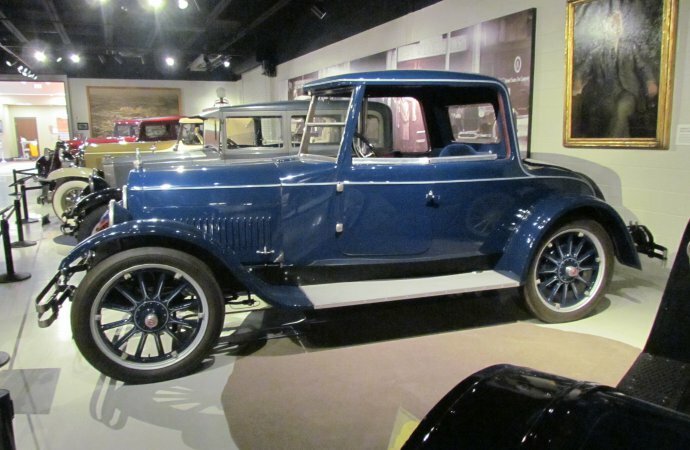 The museum’s main level includes exhibits on Studebaker’s long history, dating to when the brothers produced horse-drawn rather than motorized vehicles — among those carriages several used by American presidents. 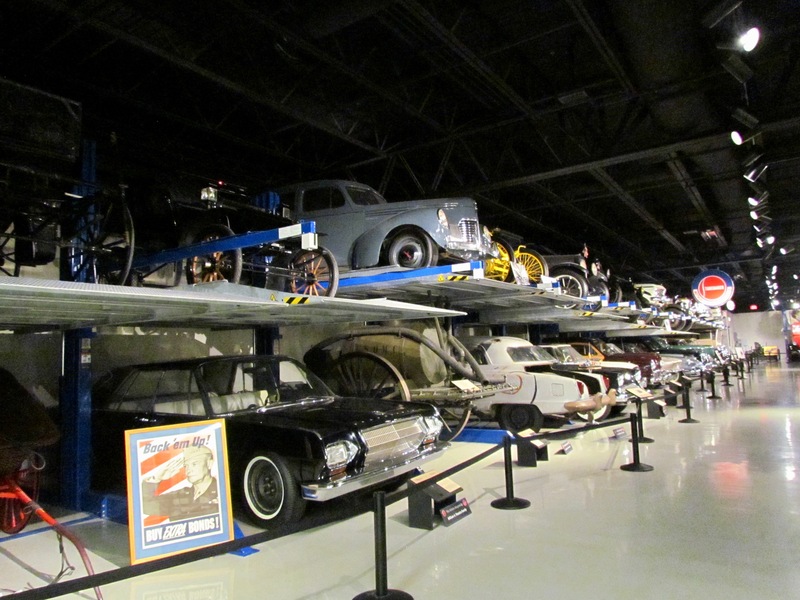 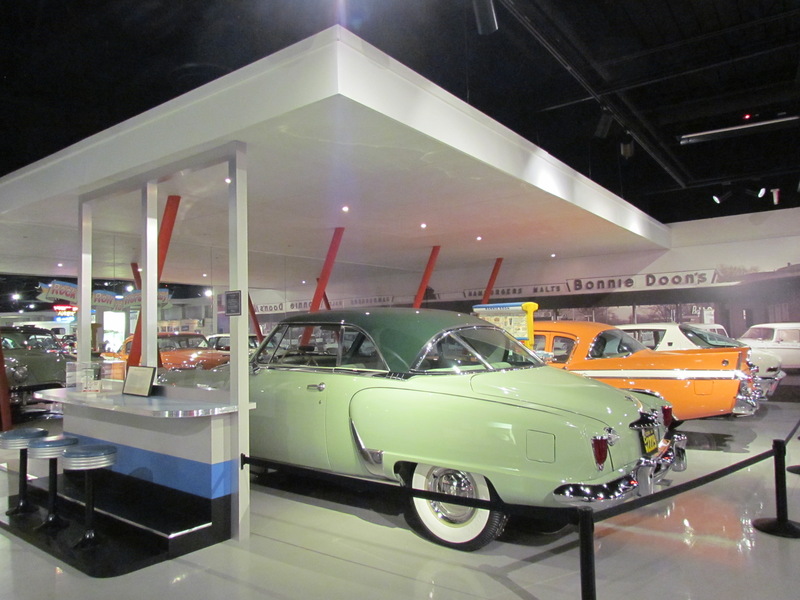 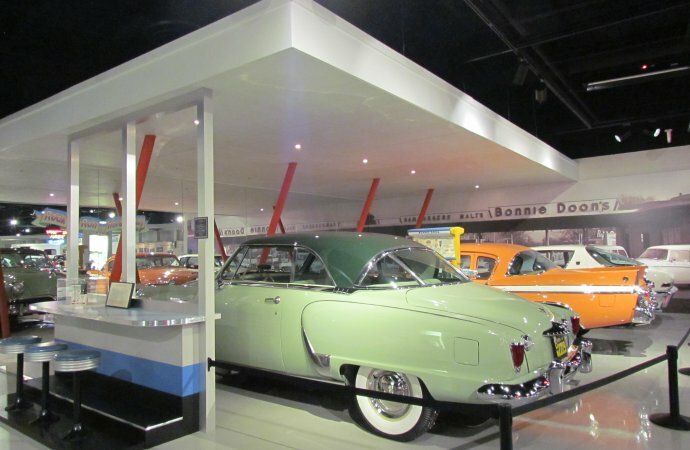 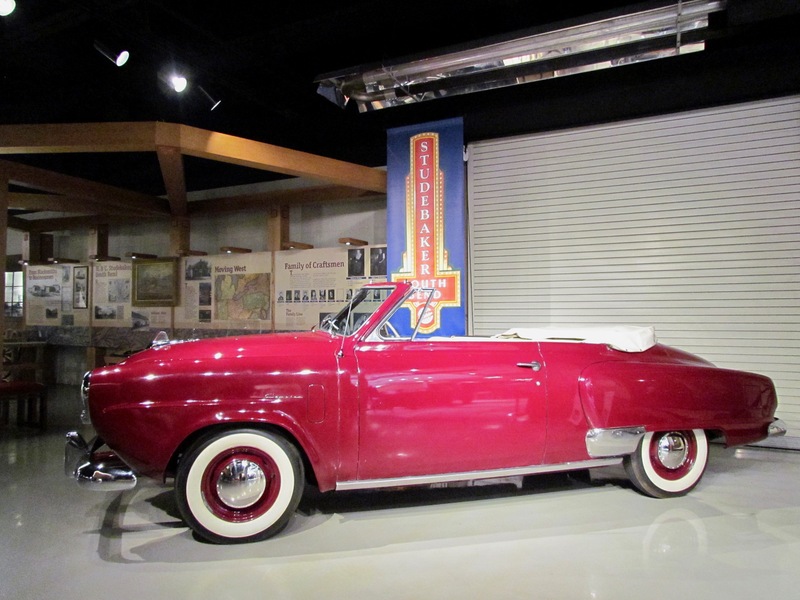 The upper level focuses on special exhibits, such as the current “Ten Cars that Changed the World,” and vehicles Studebaker has produced since the 1930s, and includes a re-creation of Bonnie Doon’s drive-in, a local favorite for much of the 20th Century. 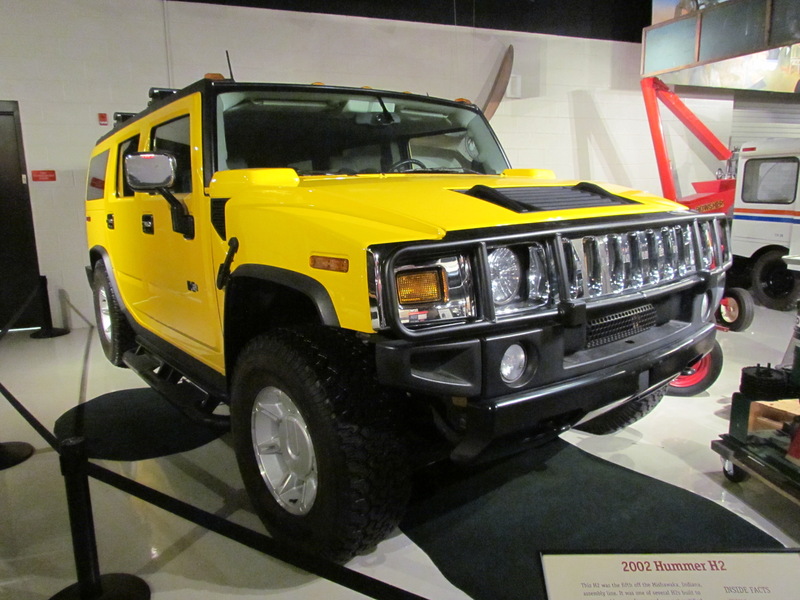 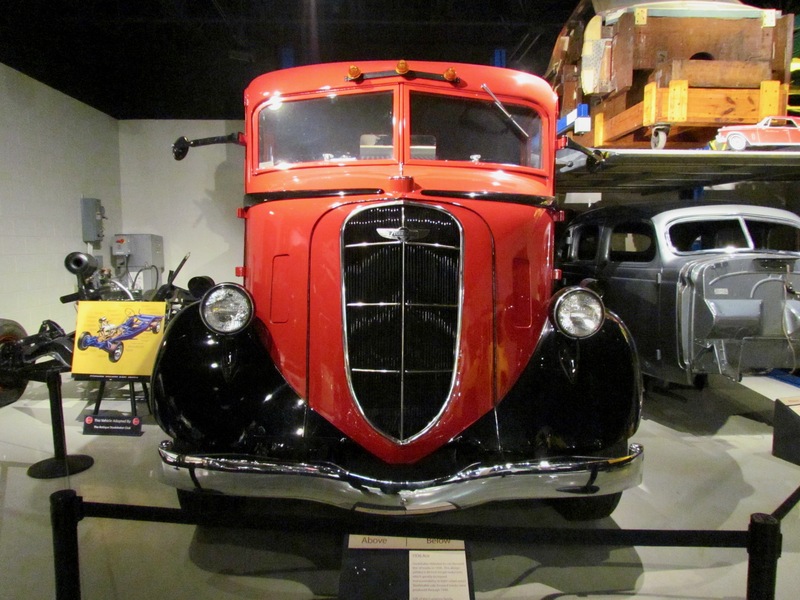 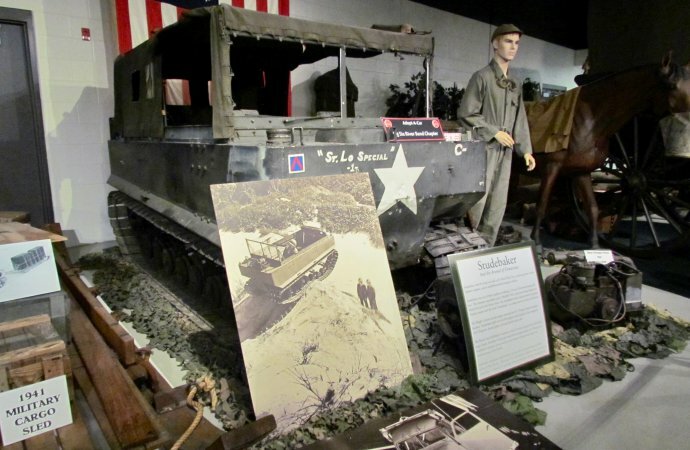 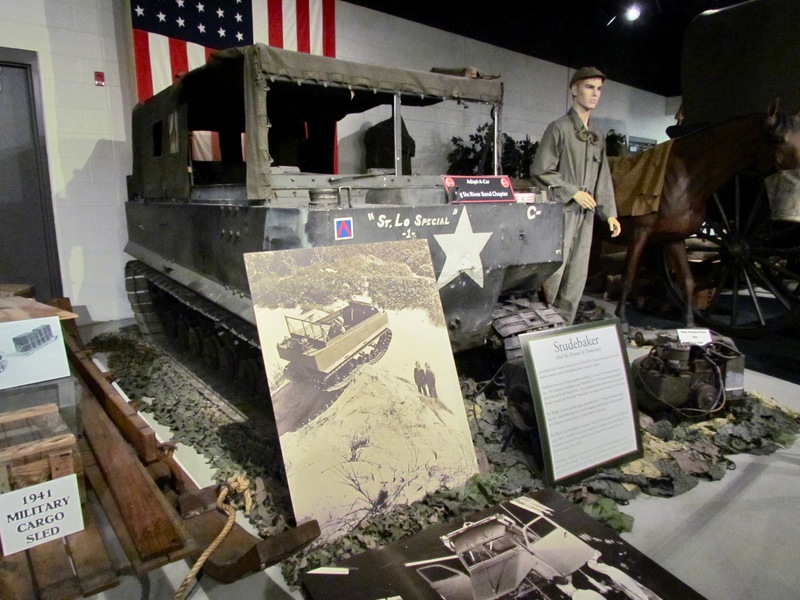 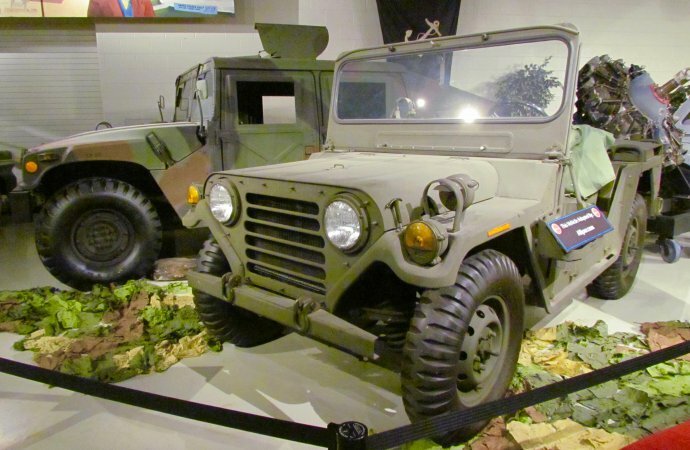 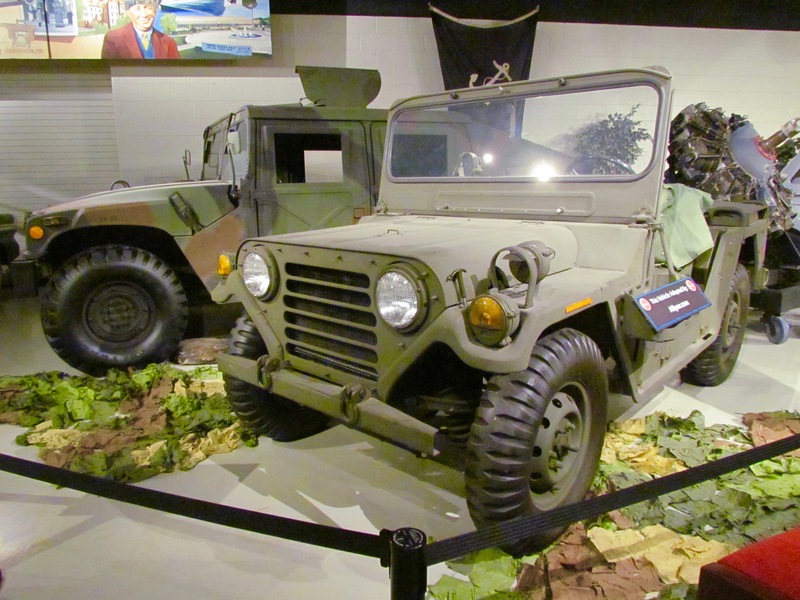 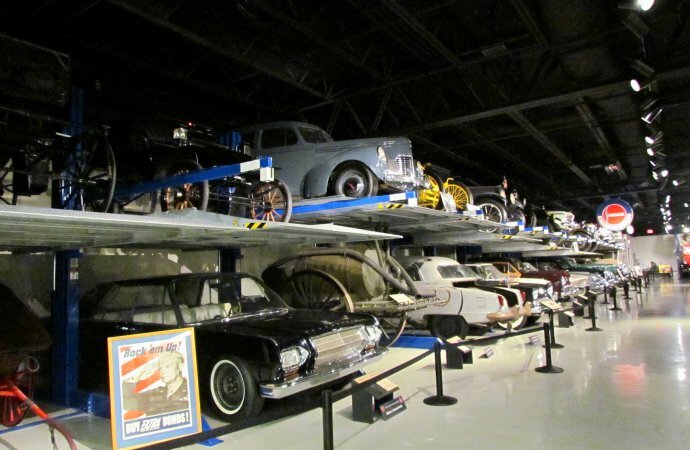 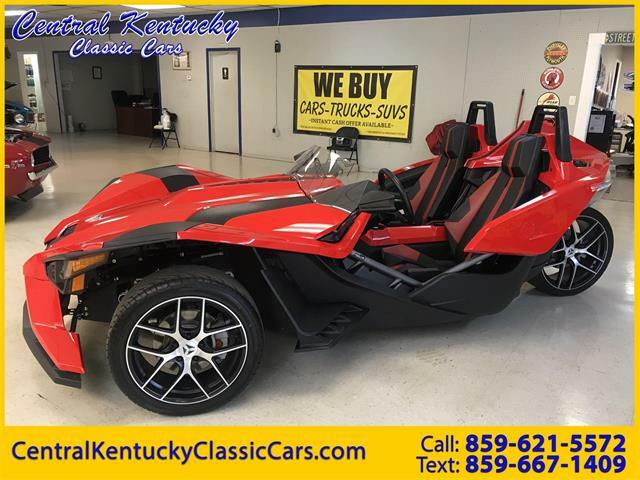 The lower level features military vehicles and what the museum terms “visible storage,” a long, double-decker rack that may not be well lit, but holds some vehicles you’ll not want to miss seeing. 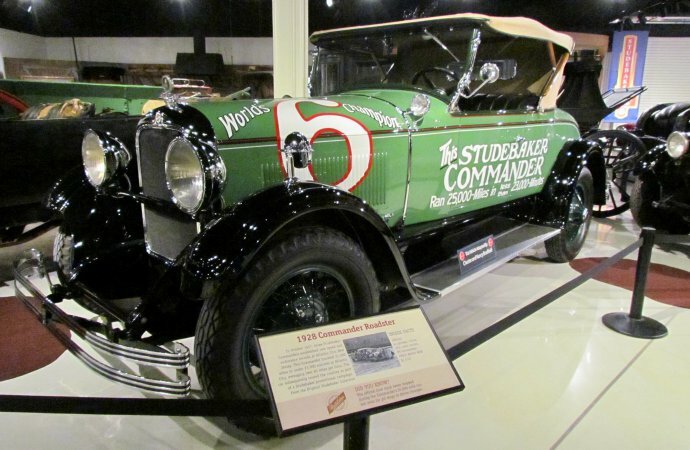 For example, on my most recent visit, the 1951 Studebaker Commander used in The Muppet Movie was downstairs, and displayed so you could see how it was driven from the steering wheel and other controls located in the trunk, the driver viewing the road ahead by way of a camera located in the car’s bullet nose. 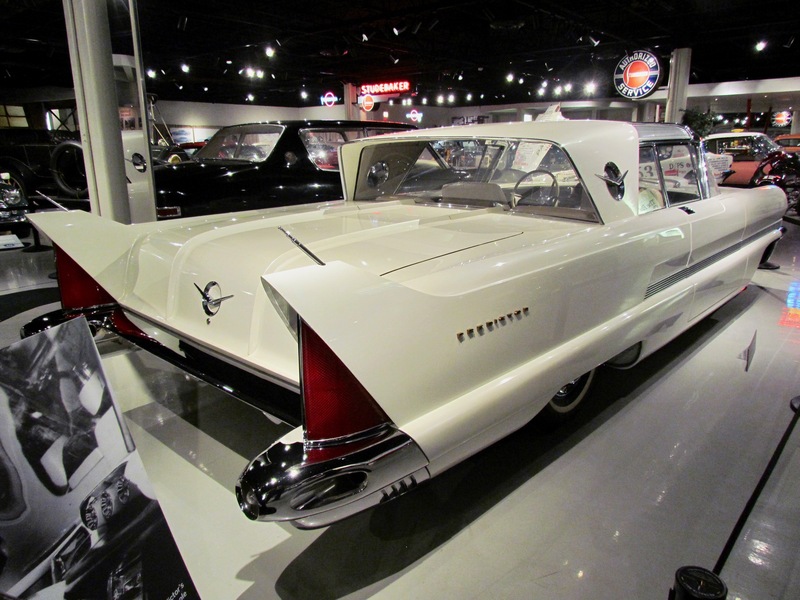 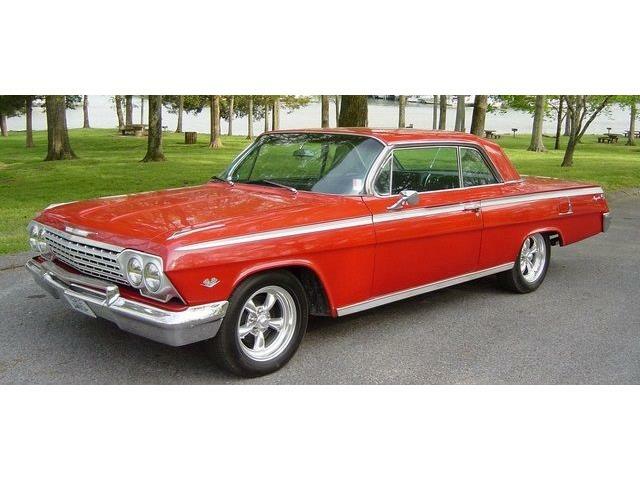 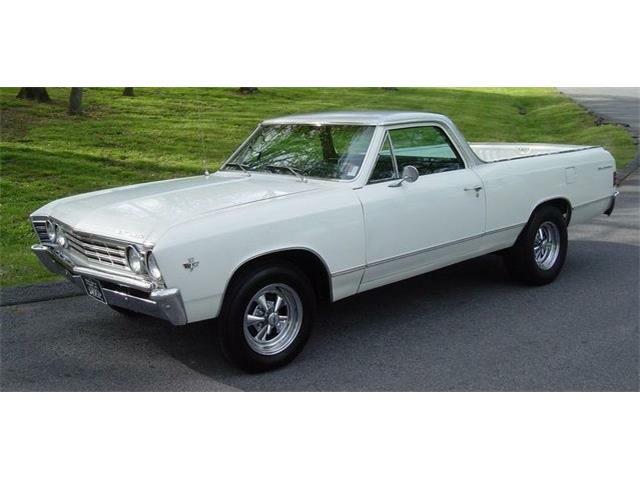 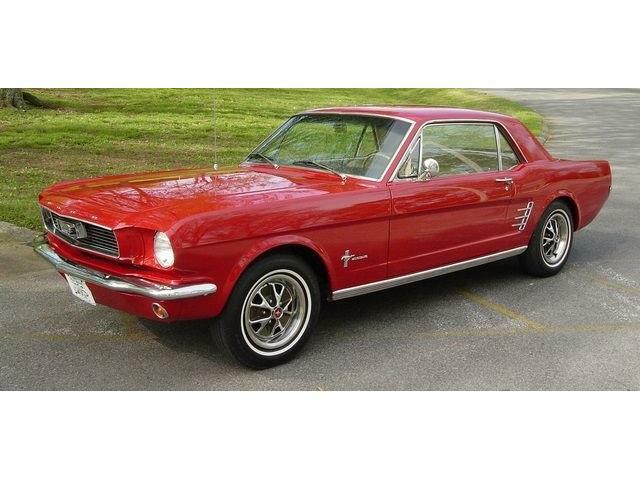 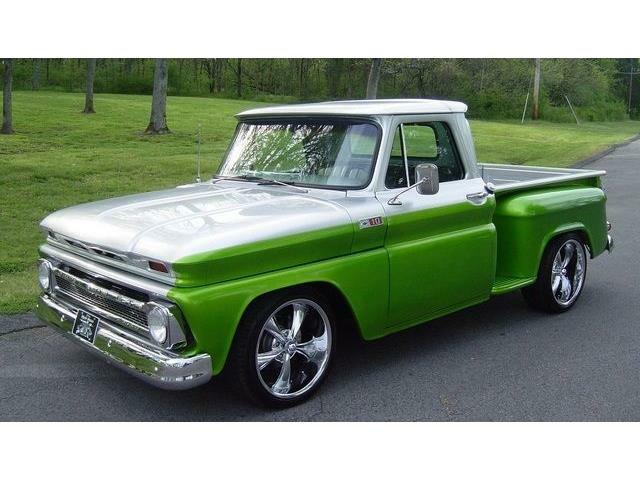 Or the 1962 prototype sedan by industrial designer Brooks Stevens, who was contracted by Studebaker to produce three such prototypes for possible future-model production. 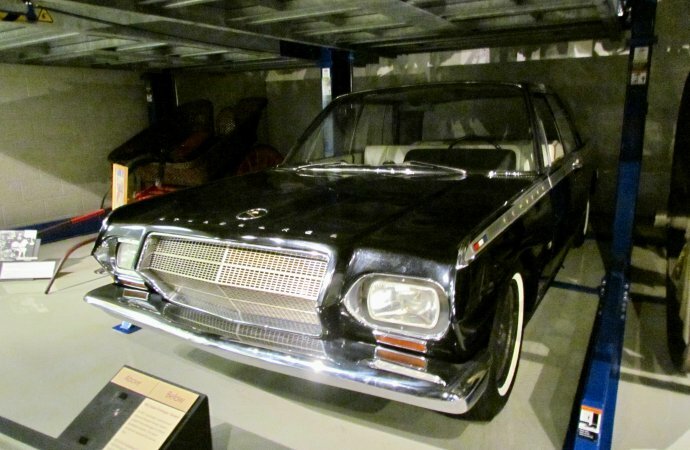 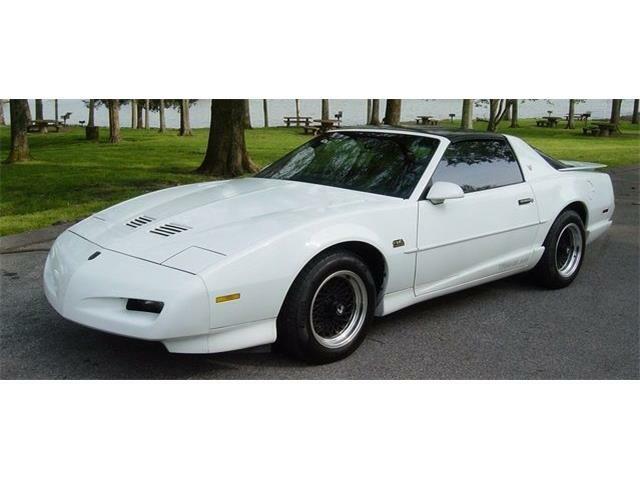 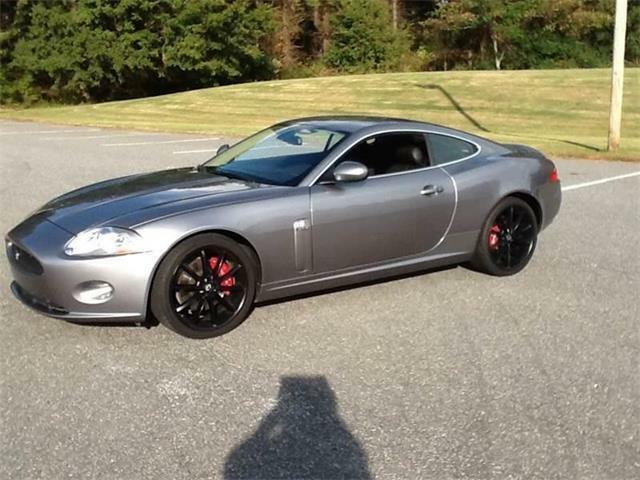 With its hexagonal styling cues, the prototype looks nothing like the Lark it would have replaced in the Studebaker lineup. 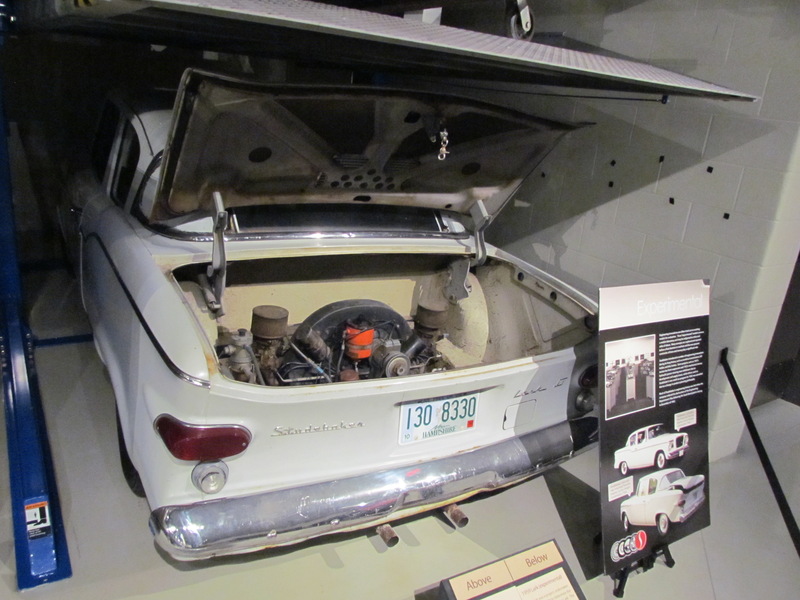 For another example, the 1959 experimental project undertaken by the Curtiss-Wright Corporation to explore the potential for rear-mounted engines, by installing an air-cooled Porsche powerplant in the trunk of a Studebaker Lark. 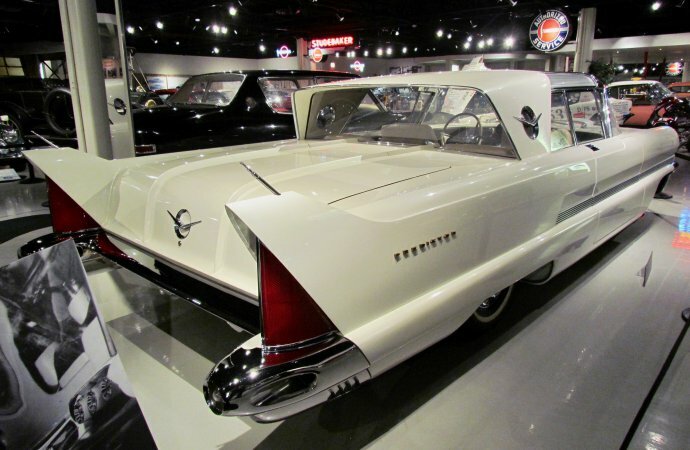 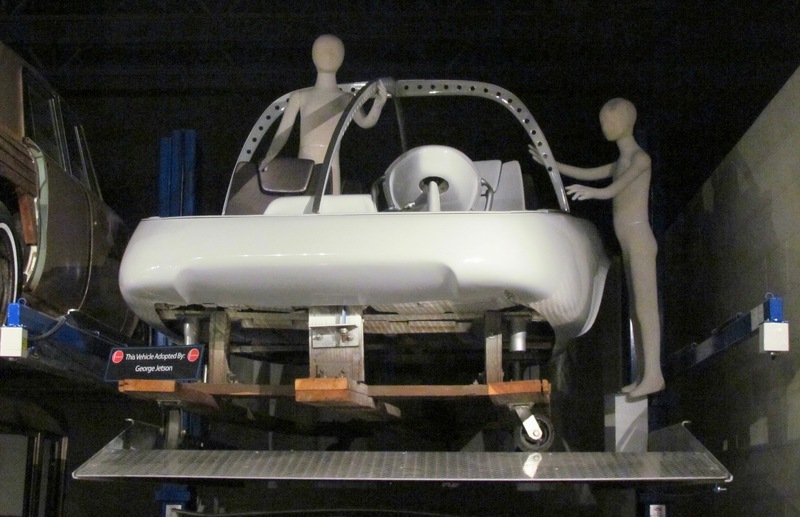 Or the Astral, a late 1950s concept car designed to be powered by atomic energy or by “ionic beams eminating (sic) from a higher source.” What that “higher source” might be isn’t specified, but the two creatures servicing the vehicle certainly would pass for aliens from another galaxy. 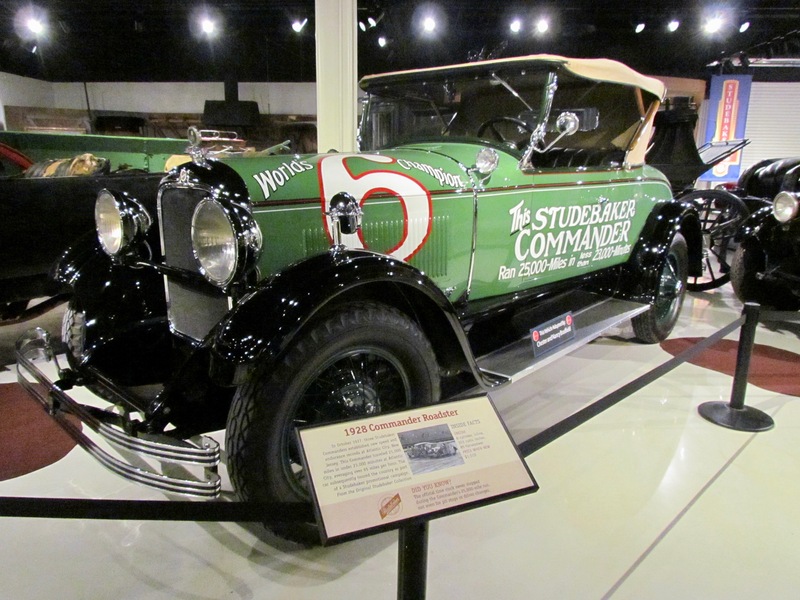 The Studebaker National Museum is located near downtown South Bend at 201 Chapin Street, and is adjacent to The History Museum and historic Oliver Mansion, originally known as Copshaholm. 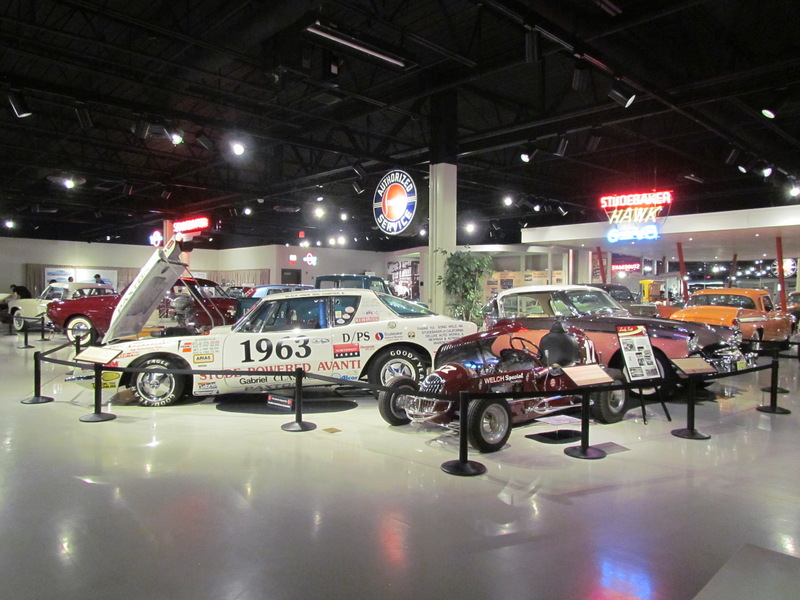 It is open Monday through Saturday from 10 a.m. until 5 p.m. and Sunday from noon until 5 p.m.
For additional information, visit the museum website. 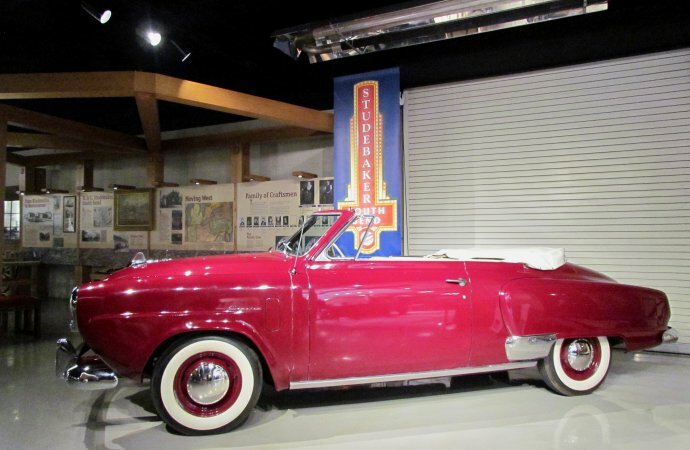 This reminds me that I visited a Studebaker museum in southern Chile last winter, where I spend our winters. 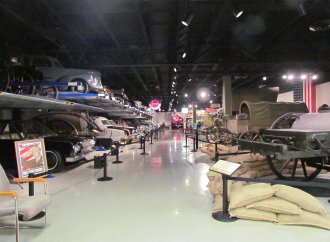 I have a bunch of photos if you are interested. 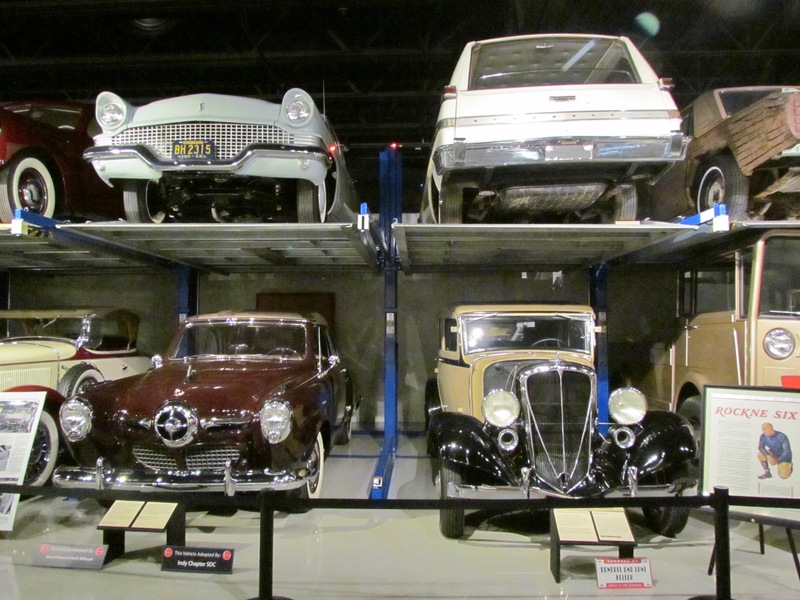 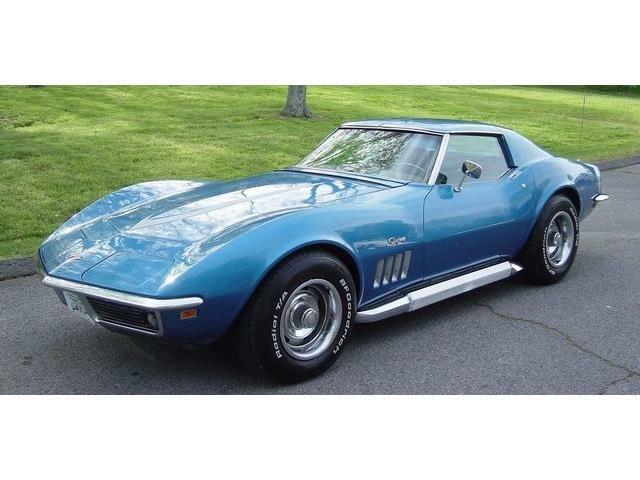 The cars came from all over- many are running and others just ornamental. 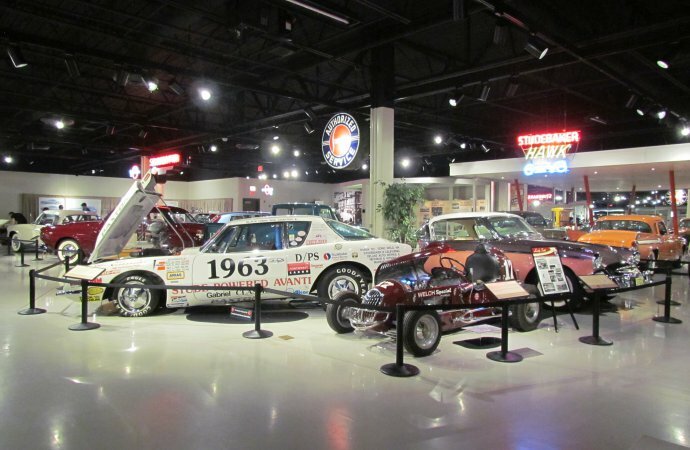 It is kind of a hidden gem. 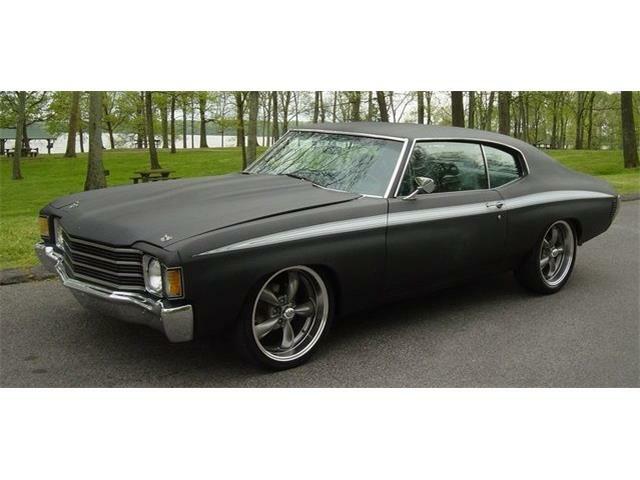 I send some photos if you respond with e-mail.